Photo by Emilie Ruscoe for Bushwick Daily. 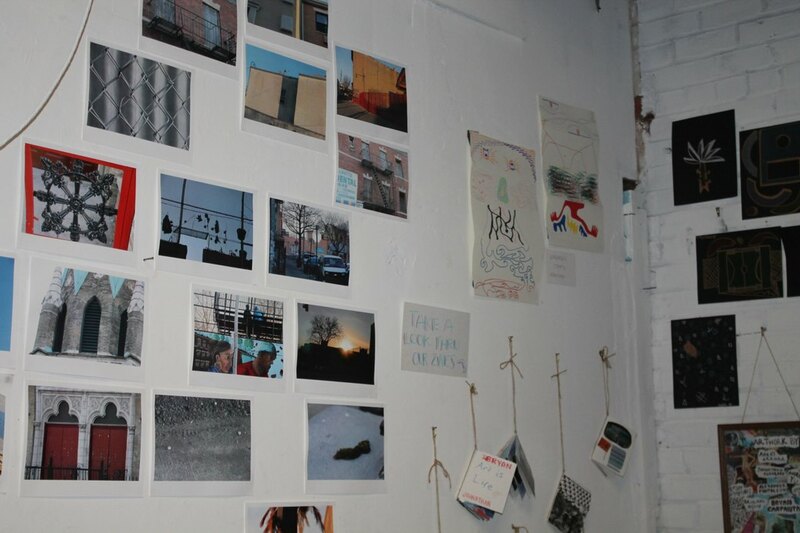 Bushwick may be an international art world hub, but one of the Silent Barn's current exhibitions showcases talent that wasn't flown in: the drawings, sculptures, photos and zines of local high school students who are a part of the Ridgewood Bushwick Youth Center art program Casa Experimental. The show, which opened Saturday, features work produced by participating teens since the program launched in October of 2015. The students meet weekly on Tuesday afternoons for sessions led by practicing artists, which present both theory and technique-based art lessons that give students, some of whom don't have other opportunities to pursue an arts education in a public school system where the arts are chronically underfunded, a chance to develop their skills, build out their portfolios, and critically engage with the greater art world. [It's about] creating access and building communities," Casa Experimental founder Stephanie Orentas tells Bushwick Daily, noting that she had originally envisioned the program as one specifically for bilingual teens and chose to expand it to make it more inclusive. And inclusive it is. 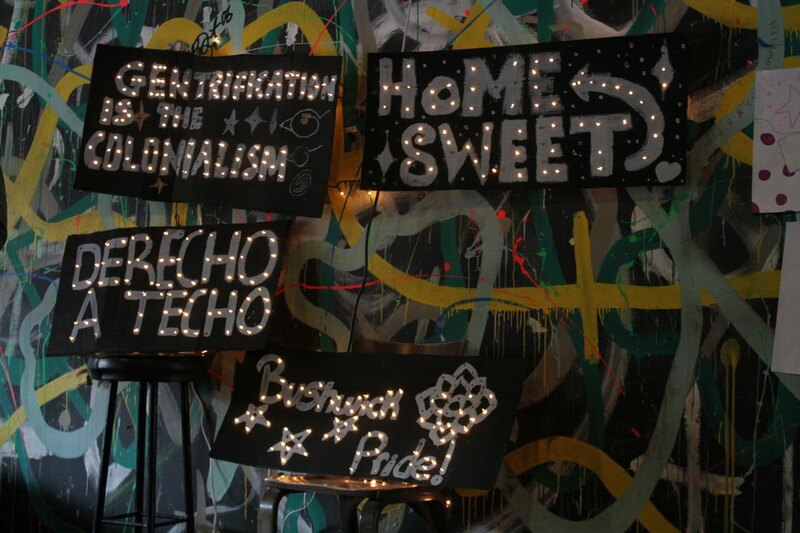 Among the teaching artists who have participated in the program are Kara J. Schmidt, who adapted her moving sculpture piece Reticulant Matter for the workshop; Ridgewood-based painter Anjuli Rathod, and McKenzie Angelo and Sarah Quinter, who assisted students with an adaptation of the illuminated signs produced as part of this past December's local gentrification resistance project Mi Casa No Es Su Casa (many of the pieces the sudents have produced use materials that might not show up in a traditional art class). "We talk a lot about identity," says Orentas, emphasizing that many of the participating teens use their work to vividly portray their experiences as long time residents of a rapidly and dramatically changing neighborhood. The program will run through the rest of the school at the Youth Center; it may relocate to the Silent Barn in the future. Check it out!